Some labor leaders are OK with this public neutering by Clinton and her corporate allies, because in private she has offered them the reassurance of her opposition to the TPP. I would encourage those labor leaders to join David Sirota and simply ask the former Secretary of State to share her State Department e-mails on the topic. Sirota received a letter saying the e-mails would not be available until after the November election. What is the big secret? More importantly, how can we trust someone who flip-flops so much? 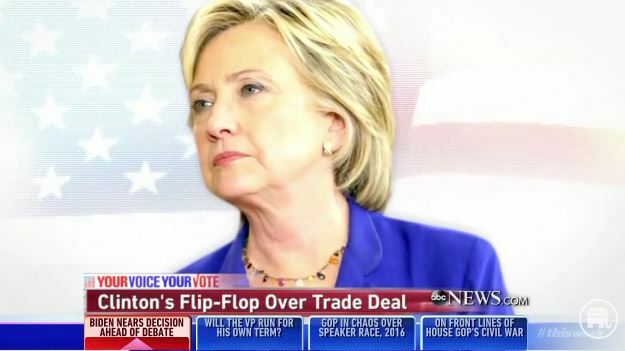 Do we think that Secretary of State Clinton’s e-mails regarding the TPP reflect her real views? Or, do we think that candidate Clinton’s position on the TPP is real? Or, are the most recent views by her platform committee surrogates the real view? In 2012, Democratic Chairwoman, Debbie Wasserman Schultz repeatedly underscored that a political party’s platform represents the views of the presidential candidate. In this exchange with Anderson Cooper, Cooper asked Wasserman Shultz, “you’re saying he (Mitt Romney) directed the writing of the platform, at least that’s the claim you make in your fundraising e-mail?” Wasserman-Schultz cuts Anderson off and says, “That’s the responsibility of a presidential campaign.” Throughout the interview she resolutely and emphatically claimed that the presidential candidate directs the writing of the platform. In this case, the presumptive nominee, Hillary Clinton, is directing the platform. Using the DNC chairs emphatic statements and the recent platform vote, it is safe to say that Hillary Clinton herself now supports the TPP. What Do We Do to Stop the TPP? For those who still appreciate the benefits of organized labor and the scraps of democracy that we enjoy with a main course of oligarchy, the TPP is suicide. I think labor leaders need to take this more seriously. One thing you can do is contact your labor union representatives and underscore that we need to undercut President Obama at the Democratic Convention in July. In asking the question, “who do we trust?” I still trust Bernie Sanders. Sanders has launched a petition calling on the U.S. Congress to vote no on the TPP. Please sign Bernie’s petition. 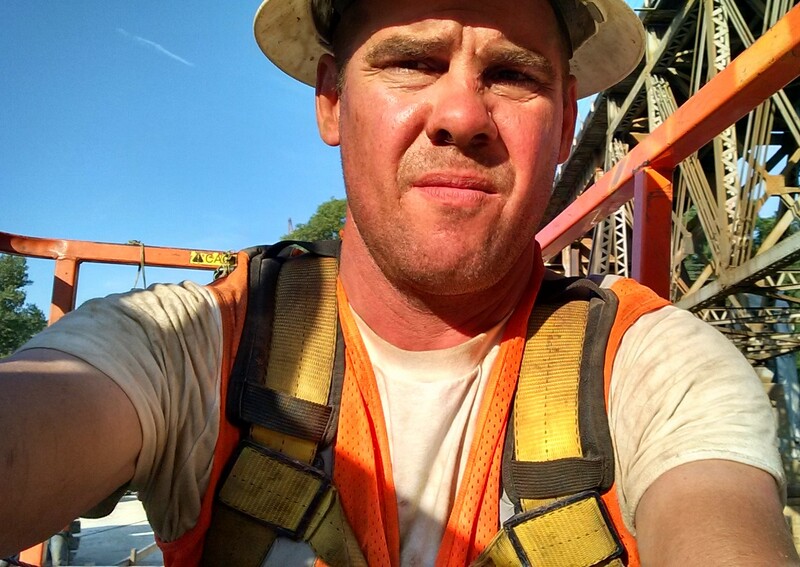 Disclosure: I am a proud union carpenter with Local 195 (Carpenters Officially oppose the TPP) and I am a #StillSanders delegate to the Democratic National Convention. I will be standing strong against the TPP at the convention. It is time for President Obama to listen to the people and put the brakes on the TPP, fast track, “smart track,” or anything else that further dissolves our democracy and offshores American jobs to sweatshops in foreign countries. Instead, we should be talking about an exit from NAFTA – an Obama pledge from his 2004 U.S. Senate race. This entry was posted on Thursday, June 30th, 2016 at 7:07 pm	and is filed under The Front Page. You can follow any responses to this entry through the RSS 2.0 feed. You can skip to the end and leave a response. Pinging is currently not allowed.